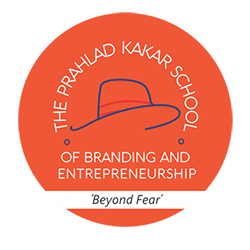 The Prahlad Kakar School of Branding & Entrepreneurship is an institute in Mumbai that teaches Business & Entrepreneurship as well as Branding & Ad Filmmaking. Their education module follows the philosophy of conquering your fear to achieve success & lets their students venture into exciting activities in order to leap #BeyondFear. The brand’s social media presence was weak. The communication did not highlight the many exciting aspects of the school and was very vague. The radical notion behind #BeyondFear did not translate on their digital presence. Our strategy was to bring out the essence of the school, which lay in its ethos of radical and offbeat methods of education. With dynamic design language and direct communication, we were able to achieve this. Another thing we focused on was changing the perception towards entrepreneurship as something that can be taught and learned. Another focus was to bring The Itch Summit, an educational convention set up by the school, into the limelight. We used creatives and videos to highlight the “itch to conquer”, reached out to the right audience that was interested in the guests and panel topics and covered the event on all social media portals.